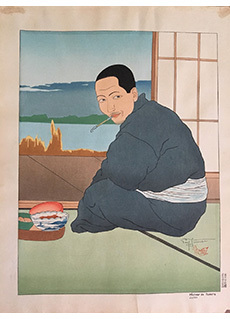 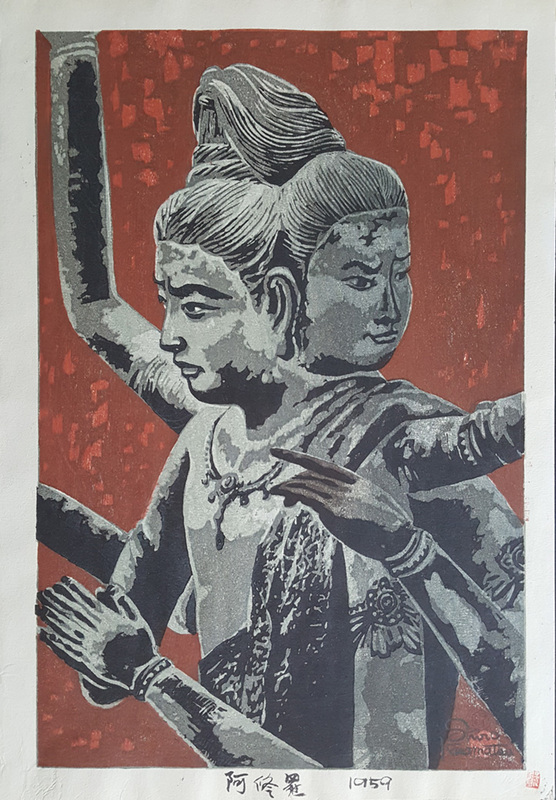 In my opinion some of Haku Maki's most powerful, and best work, came in the 1950's and 1960's before he experienced some of his larger scale commercial appeal which stemmed from the publication of Festive Wine: Ancient Japanese Poems From The Kinkafu. 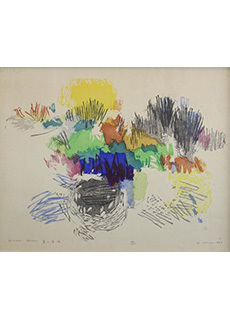 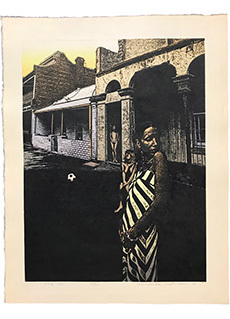 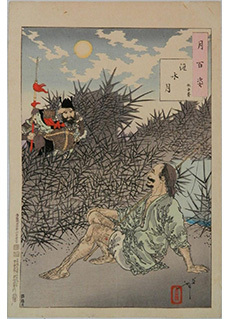 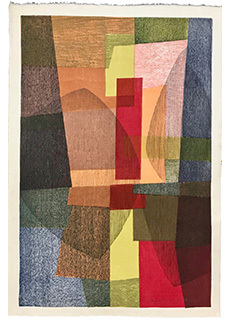 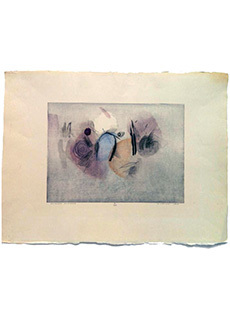 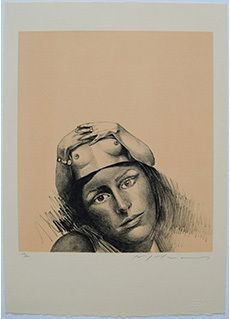 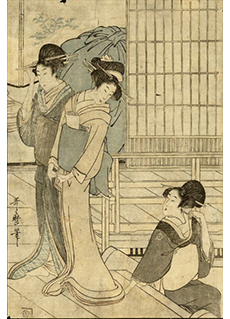 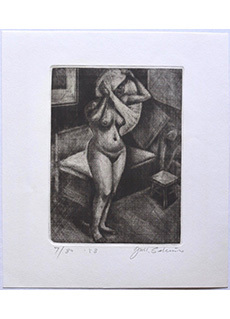 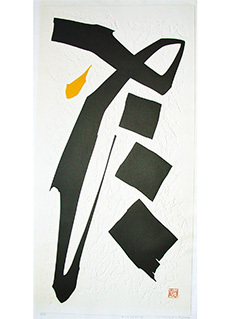 These early works are truly abstarct masterpeices with strong lines and powerful intention. 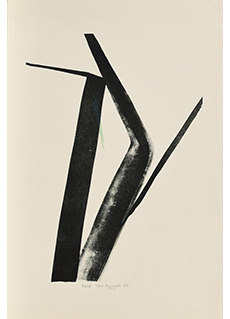 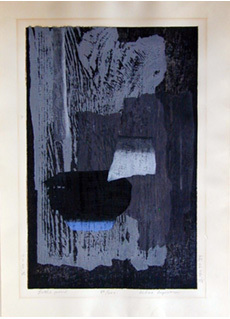 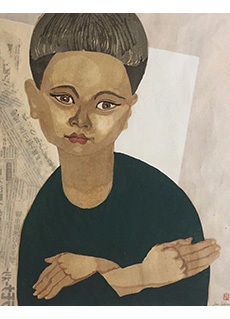 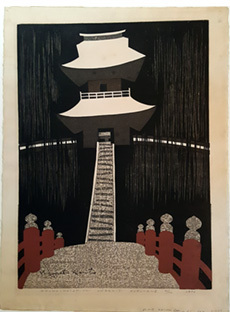 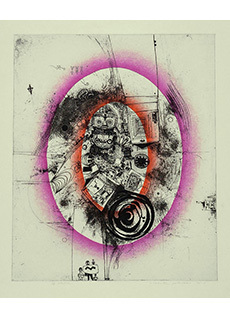 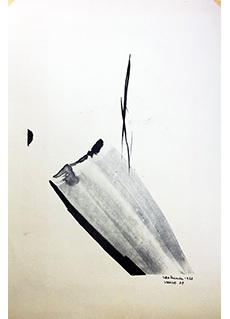 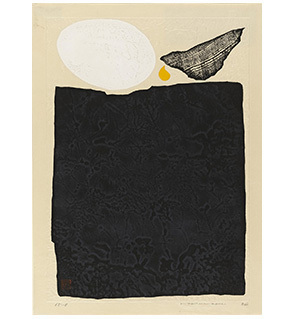 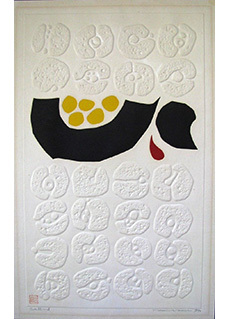 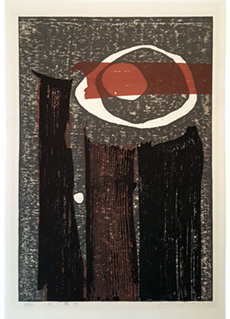 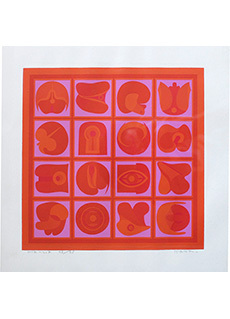 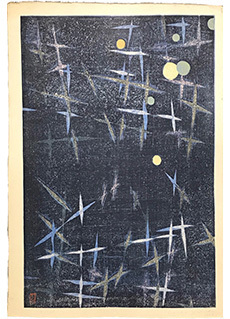 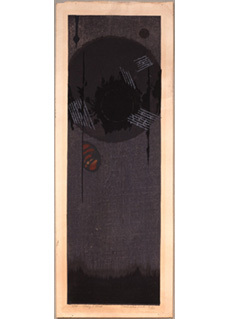 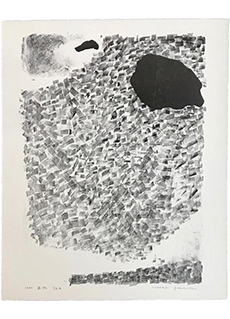 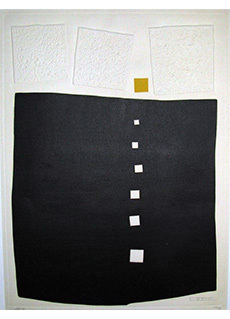 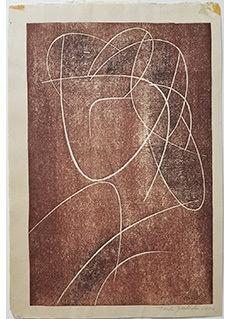 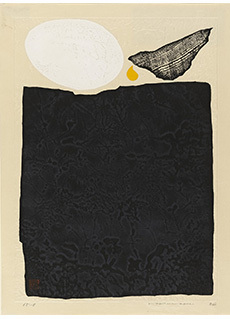 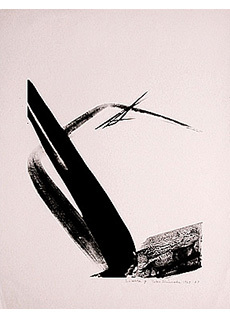 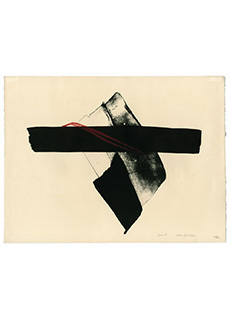 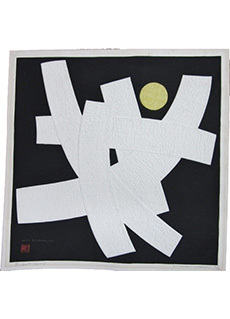 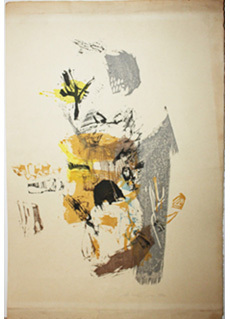 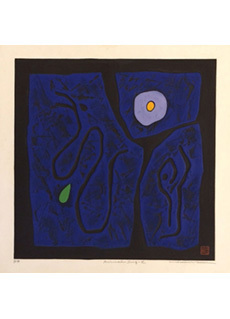 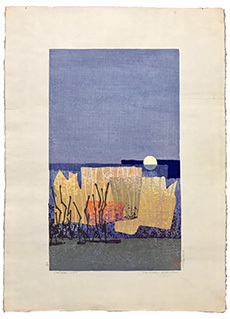 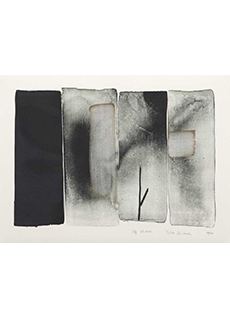 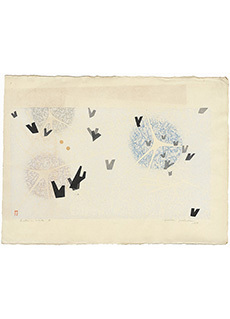 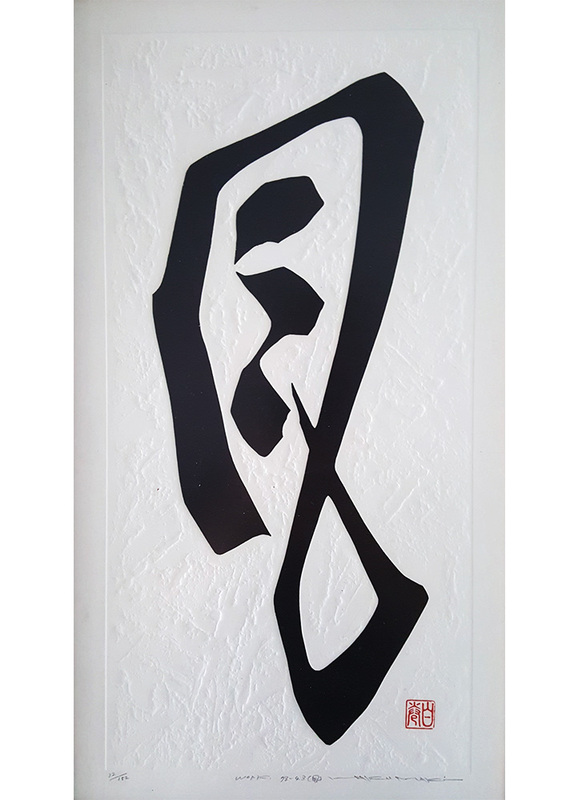 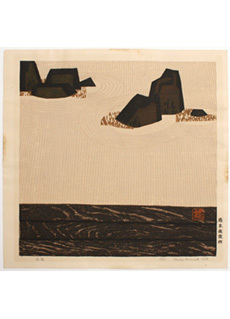 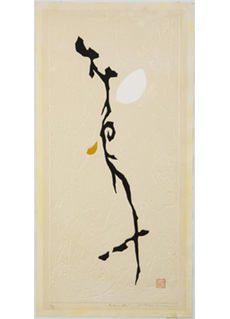 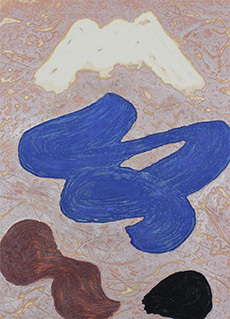 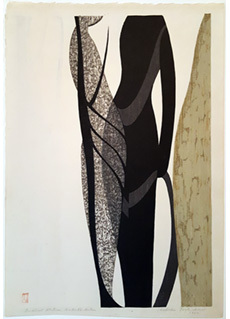 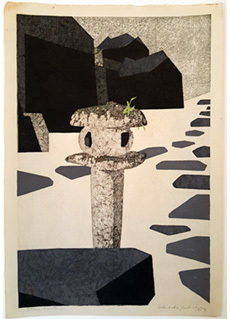 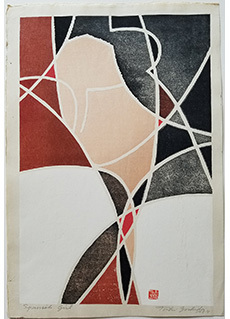 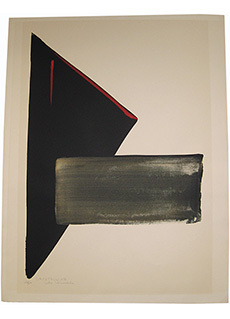 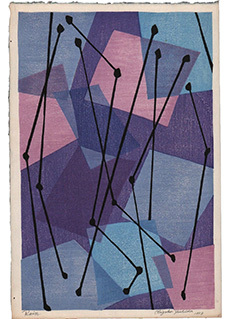 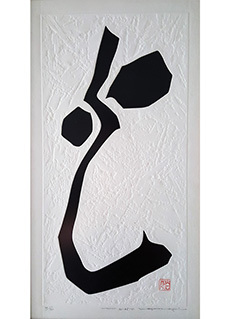 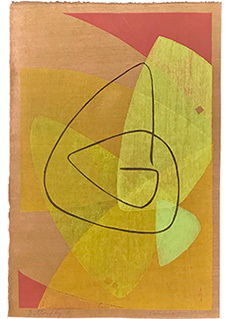 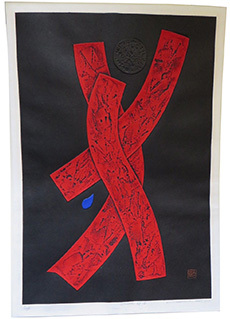 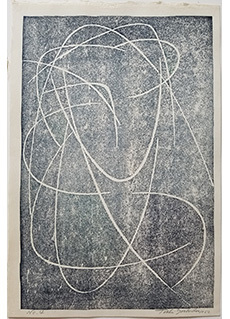 Although Haku Maki has always maintained a connection to calligraphy as part of the essence of his work, in the 1970's he began focusing much more on using Kanji characters in an abstract form, as well as traditional Japanese cultural items such as pottery and persimmons. 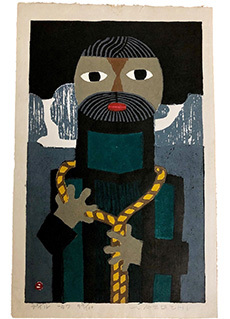 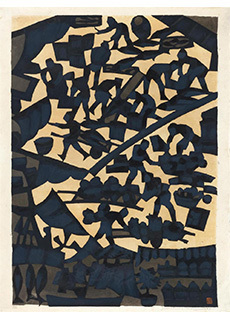 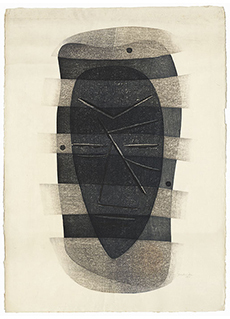 This shift led to a move away from some of his more abstract compositions, to more identifiable characters. 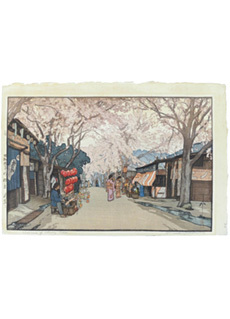 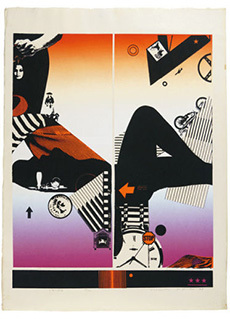 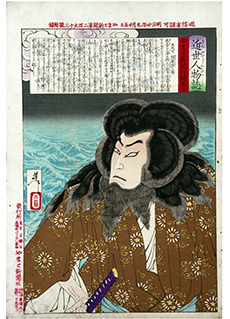 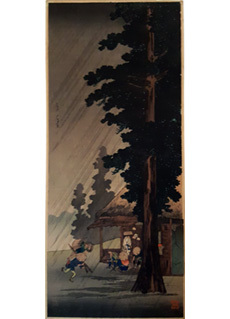 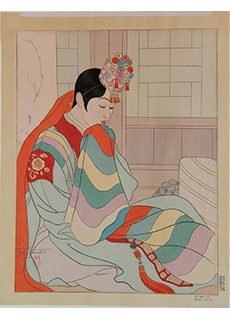 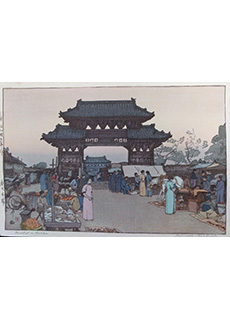 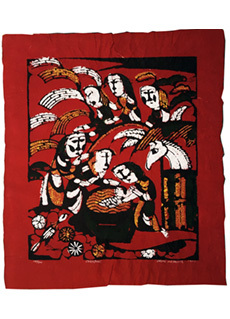 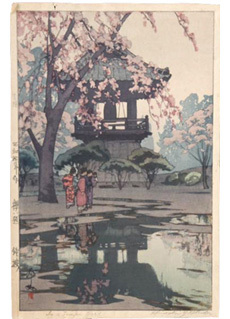 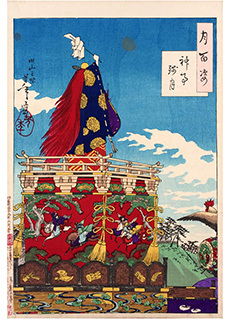 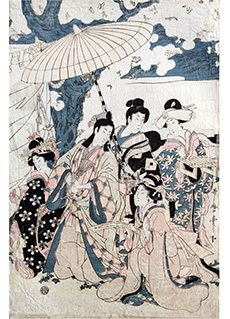 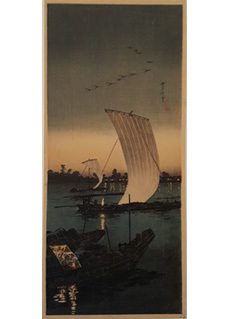 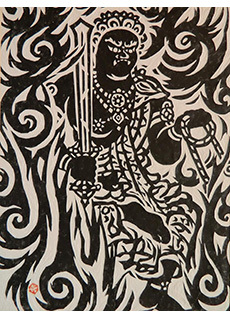 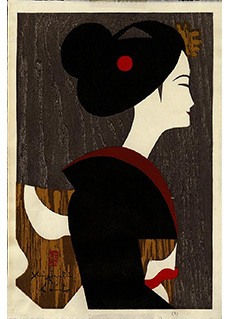 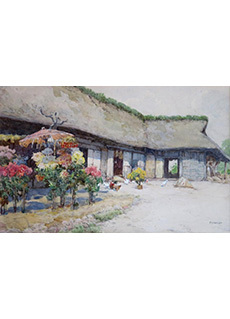 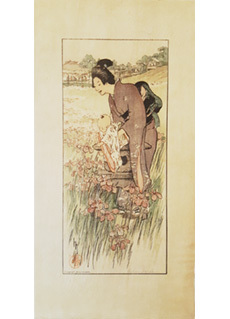 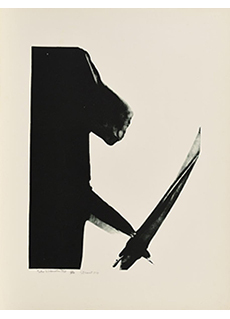 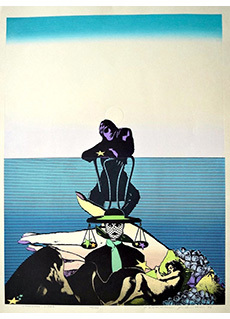 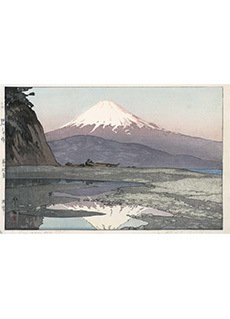 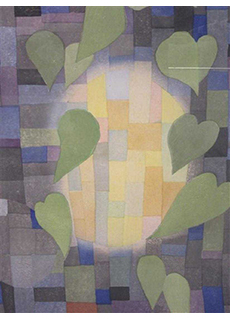 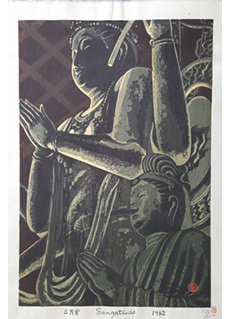 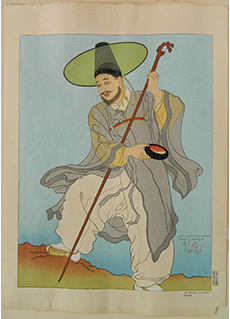 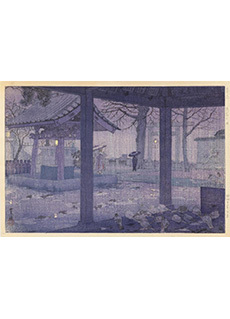 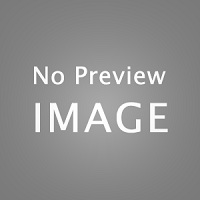 View some of Haku Maki's early works here.